Introduction: Ankle equinus is a hereditary or acquired contracture of the triceps surae or shortening of the connective tissue causing inability of the foot to dorsiflex during gait. For the patient population with diabetes mellitus, this high plantar pressure from contracture often results in ulceration. This is frequently treated by Achilles tendon lengthening which helps to avoid infection and amputation. The purpose of this study is to examine the effect of dynamic splinting in reduction of ankle equinus contracture for patients with diabetes mellitus. Methods: A retrospective analysis was accomplished by reviewing the history of 48 patients following treatment with an ankle dorsiflexion dynamic splint. This dynamic splinting modality delivers low-load prolonged duration stretching while one sleeps. In this home therapy study, dynamic splinting was used for a mean 240 hours in the first month (5 weeks). Results: Patients showed a statistically significant change in maximal ankle dorsiflexion (P < 0.0001). The patients mean, maximal active range of motion in dorsiflexion increased by 9º in the first month. Conclusion: This modality proved effective as home therapy and should be examined in further research so that it may be employed as standard of care in treating ankle equinus contracture. Key words: Bilateral tension, Dynasplint, Home therapy, Rehabilitation. The goal of all of these treatments is to prevent the need for amputation following uncontrollable infection from ulceration. The purpose of this study is to examine the effect of dynamic splinting in reduction of ankle equinus contracture for patients with DM. Records of patients with diagnosed ankle equinus, secondary to DM were used for this retrospective study. Patients’ records who were treated with AFD were retrieved from multiple ankle and foot clinics in Georgia, Texas, and California. Maximal ankle dorsiflexion measurements were the dependent variable and these measurements taken with goniometry while the patient was lying supine with the knee fully extended. The 48 enrolled patients included 25 females and 23 males (mean age of 66 ± Standard deviation 11). The ethnic distribution included 7 African Americans, 4 Asians, 27 Caucasians, and 10 Hispanic patients. Figure 1 Ankle Dorsiflexion Dynasplint®. Each patient was instructed to start by wearing the AFD for a few hours before sleeping for one day, and then for 6-8 hours while sleeping using an initial tension setting of #1 (2.0 foot pound of torque). This initial frequency, intensity, and duration are used for patient acclimatization to the system. The patients were then instructed to increase the tension one increment every two weeks as tolerated. If the new tension gave the patient “prolonged soreness or pain” (defined as greater soreness than would occur after one hour of intense manual therapy), the patient was instructed to reduce the tension one half increment for a few days before returning to the new setting. The duration for this study was five weeks. This period was selected to ensure 100% patient compliance and to avoid what one study reported as “difficult (prolonged) follow up.”  However the AFD is routinely prescribed for six or more months in treating this condition. A paired t-test was calculated to determine if a statistically significant difference existed between the initial, maximal AROM and the final, maximal AROM. The calculations were done independently by an outside biostatistician, Dr Ram Shanmugam from Texas State University, San Marcos, TX. 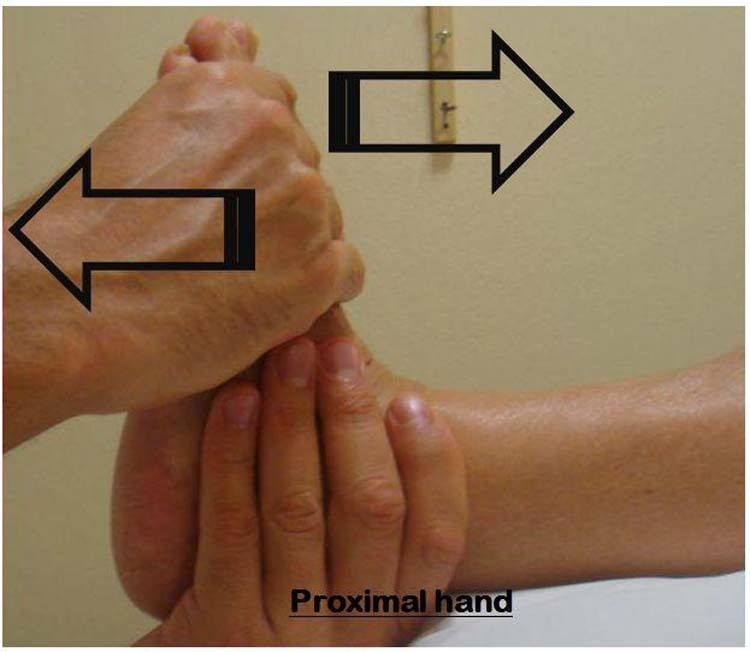 Figure 2 Mean change in active range of motion. The purpose of this study is to examine the effect of dynamic splinting in reduction of ankle equinus contracture for patients with diabetes mellitus. Burke, et al., described hypomobility and diabetic ulcers saying “plantar-flexed first ray deformity (contracture) has been shown to increase pressure on the first metatarsal head and is associated with ulceration.”  The AFD used in this trial reduced contracture using passive stretching similar to one component used in the study by Danaberg, et al. The Danaberg study included manual therapy “Mobilization” and passive stretching or “assisted stretching”. The findings show an instant 4.9º improvement in maximal dorsiflexion. Comparable passive stretching was delivered by the AFD but for substantially longer durations as it was worn for 6-8 hours wear during sleep. The AFD wear averaged 6.9 hours per night equaling a total of 241 hours of end range stretching. AROM measurements were taken several hours after awakening which showed stable improvement in contracture reduction. Literature has shown a direct relationship between mechanical stress (positioning), foot ulceration, and surgery. [3,4,9] Research has also described connective tissue elongation from prolonged stretching  and sarcomere changes from limb lengthening. The current standard of care, surgical resolution of ankle equinus contracture, has been established. [1-12] However, use of a modality like the AFD could prevent the need for surgery in a significant number of patients. A previous protocol of using serial casting has been discontinued for DM patients due to the great frequency of skin breakdown and ulcerations from the casting itself. There were no incidences of skin breakdown reported in this retrospective AFD study. Use of the biomechanically correct AFD® with bilateral, dynamic tension has proven effective in this study achieving a mean 9º increase in maximal, active range of motion in one month. 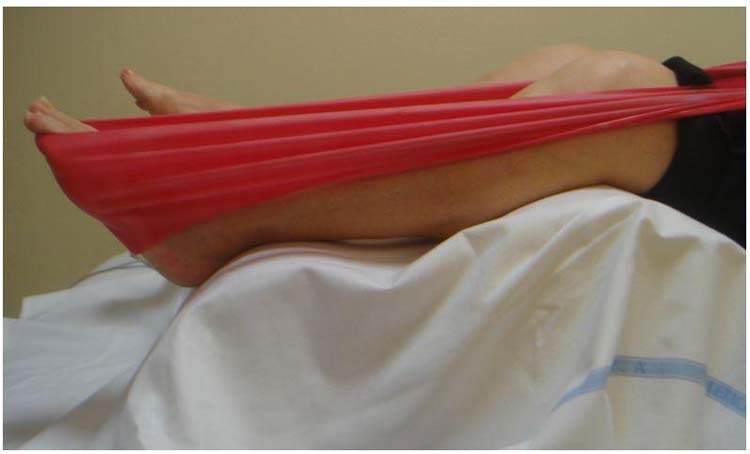 This treatment method of dynamic splinting as a home therapy should be considered before surgery is implemented to reduce ankle equinus contracture. In addition, awareness by the physician of these potential damaging equinus factors would suggest early and immediate use of the device for prophylaxis. The normal prescription of this system is six months. A future experiment measuring changes from six month duration in a randomized, controlled trial would prove the efficacy of this modality. 1. Van Gils CC, Roeder B. The effect of ankle equinus upon the diabetic foot. Clin Pod Med Surg 2002 Jul; 19(3): 391-409. 2. Lavery LA, Armstrong DG, Boulton AJM. Ankle equinus deformity and its relationship to high plantar pressure in a large population with diabetes mellitus. JAPMA 2002 92: 479-482. 3. Frykberg RG. The high risk foot in diabetes mellitus. New York: Churchill Livingstone, 1991. 4. Dananberg HJ, Shearstone J, Guillano M. Manipulation method for the treatment of ankle equinus. JAPMA 2000 90: 385-389. 5. Birke JA, Patout CA, Foto JG. Factors associated with ulceration and amputation in the neuropathic foot. JOSPT 2000 30(2): 91-97. 6. Menz HB, Dananberg HJ. Manipulation method for the treatment of ankle equinus. JAPMA 2001 91: 105-106. 7. Wallny T, Brackmann H, Kraft C, Nicolay C, Pennekamp P. Achilles tendon lengthening for ankle equinus deformity in hemophiliacs: 23 patients followed for 1-24 years. Acta Orthop 2006 Feb;77(1):164-168. 8. Grady JF, Saxena A. Effects of stretching the gastrocnemius muscle. J Foot Surg 1991 Sep-Oct; 30(5): 465-469. 9. Bowers AL, Castro MD. The mechanics behind the image: foot and ankle pathology associated with gastrocnemius contracture. Semin Musculoskelet Radiol 2007 Mar; 11(1): 83-90. 10. Mullaney MJ, McHugh MP, Tyler TF, Nicholas SJ, Lee SJ. Weakness in end-range plantar flexion after Achilles tendon repair. Am J Sports Med 2006 Jul; 34(7): 1120-1125. 11. Chen L, Greisberg J. Achilles lengthening procedures. Foot Ankle Clin 2009 Dec; 14(4): 627-637. 12. Orendurff MS, Rohr ES, Sangeorzan BJ, Weaver K, Czerniecki JM. An equinus deformity of the ankle accounts for only a small amount of the increased forefoot plantar pressure in patients with diabetes. JBJS 2006 Jan; 88B (1): 65-68. 13. Lai J, Jones M, Willis B. Effect of Dynamic splinting on excessive plantar flexion tone/contracture: A controlled, cross-over study. Proceedings of the 16th European Congress of Physical and Rehabilitation Medicine. Minerva Medica pubs, Italy. 2008 August: 106-109. 14. John MM, Willis FB, Portillo A. Runner’s hallux rigidus reduction and gait analysis, JAPMA 2009 99(4): 367-370. 15. Lundequam P, Willis FB. 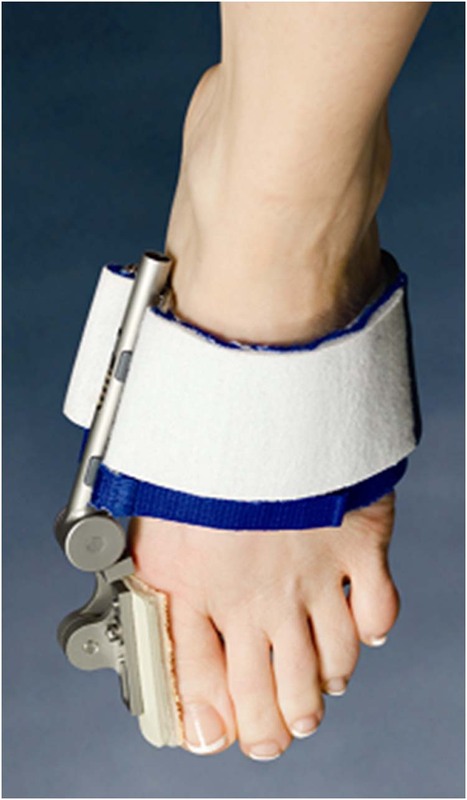 Dynamic splinting as home therapy for toe walking: A case report. Cases J 2009 Nov 2: 188. 16. Willis FB, John MM, Perez A. Plantar fasciopathy treated with dynamic splinting. PM&R 2009 Sep 1; 9: S169. 17. Sheridan L, Lopez AL, Perez A, John MM, Willis FB. Plantar fasciopathy treated with dynamic splinting: A randomized controlled trial. JAPMA In press. 18. John MM, Kalish SR, Perns SV, Willis, FB. 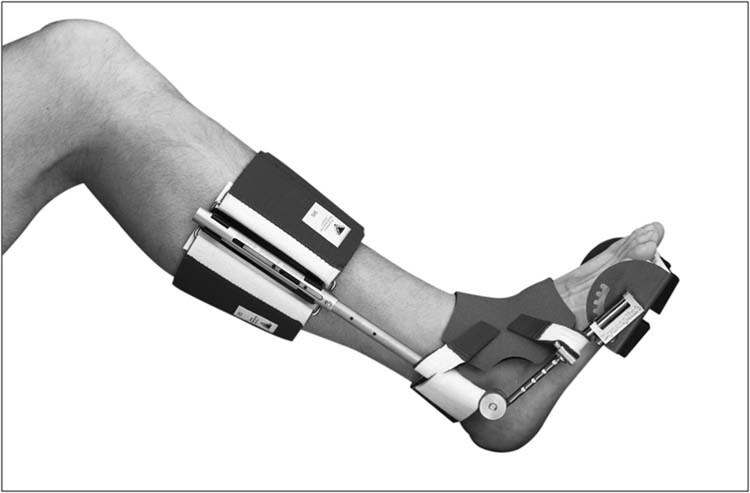 Dynamic splinting for hallux limitus: A randomized controlled trial. JAPMA. In press. 19. Kalish SA, Willis FB. Hallux limitus and dynamic splinting: a retrospective series. The Foot & Ankle Online Journal 2009 Apr; 2 (4): 1. 20. Huang ES, Basu A, O’Grady M, Capretta CJ. Projecting the future diabetes population size and related costs for the U.S. Diabetes Care 2009 Dec; 32 (12): 2225-2229. 21. Kooistra B, Dijkman B, Einhorn TA, Bhandari M. How to design a good case series. JBJS 2009 May; 91A Suppl 3: 21-26. 22. Usuba M, Akai M, Shirasaki Y, Miyakawa S. Experimental joint contracture correction with low torque-long duration repeated stretching. Clin Orthop Relat Res 2007 Mar; 456: 70-78. 23. Makarov M, Birch J, Samchukov M. The role of variable muscle adaptation to limb lengthening in the development of joint contractures: an experimental study in the goat. J Pediatr Orthop 2009 Mar; 29(2):175-181. 1 Podiatry; Ft Worth, Texas 910 W North Side Dr Ft Worth, TX 76164. (817) 625-1103 . Background: Hallux Abductovalgus (HAV) is a deformity causing excessive angulation of the great toe towards the second toe, and this condition affects over 3.6 million Americans. Conversely hallux varus is excessive medial deviation and this pathology occurs secondary to procedures correcting hallux valgus and as a pediatric/congenital anomaly. The purpose of this pilot study was to report the benefits that Dynamic Splinting (DS) had on reducing contracture in hallux varus and hallux valgus. 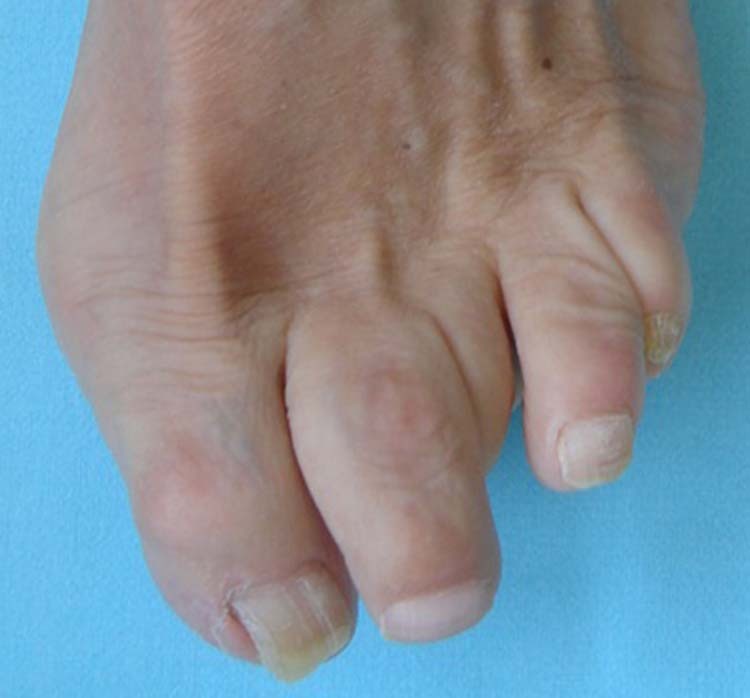 Methods: Ten patients treated with DS were examined and these patients included six diagnosed with HAV and four patients diagnosed with hallux varus. The outcome measures reported include changes in maximal, active range of motion (AROM) and resting alignment. Results: The patients treated for HAV regained a mean 10° active range of motion (AROM) in one month. 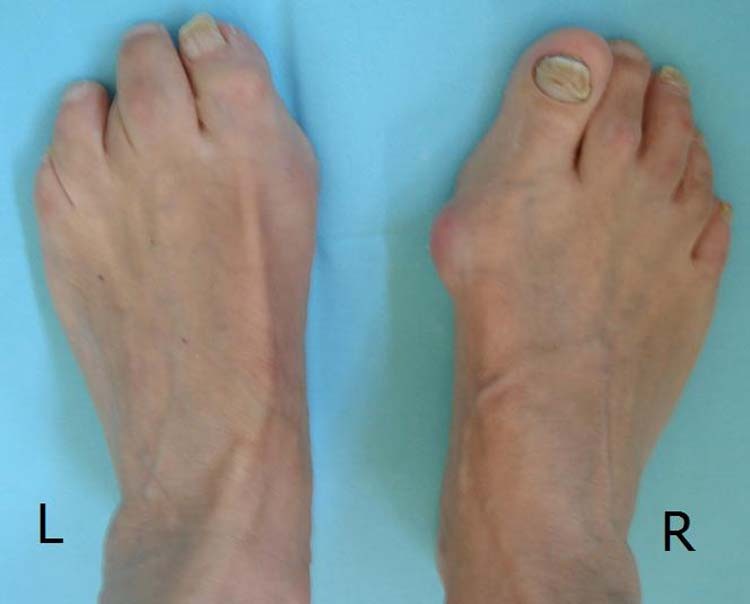 The patients treated for hallux varus regained a mean 9° AROM in 3 months. Conclusions: Dynamic splinting was beneficial for all patients in this study. The HAV patients regained a mean 10° of AROM (mean duration 1 month) and the hallux varus patients gained a mean 9° (mean duration 2 months). The modality which delivered low-torque stretching for prolonged durations was effective in reducing these conditions without requiring surgery. Key words: Contracture reduction, Dynasplint, home therapy, rehabilitation. Hallux Abductovalgus (HAV) is a bunion deformity causing abnormal angulation of the great toe towards the second toe. The incidence rate of HAV is 1% of all Americans[1-4] and this includes 9% of women over the age of 60 years old. This pathology causes pain, inflammation, and reduced or impaired functioning of the hallux in ambulation. The current standard of care in treating this condition includes nonsurgical treatment such as shoe modification followed by surgical management. [5-8] Complications of surgical treatment are not without risk though. Osteotomies of the first metatarsal such as the Lapidus and distal chevron procedure have caused significant incidence of hallux varus. Similar pathologies have symptomatic contracture which is defined as the molecular shortening of the connective tissue and these pathologies occur from postoperative or posttraumatic arthrofibrosis [12-14], immobilization [15,16], or occur secondarily to excessive neuromuscular tone. [16,17] A study by Usuba, et. al., examined nonsurgical, therapeutic treatments for contracture that was caused by surgical immobilization in rats. After 40 days of surgical immobilization the mean rat knee flexion contracture was -125° (n = 60). Usuba, et. al., then tested the interaction of four protocols: Stretching with high vs. low torque and stretching of prolonged duration vs. short duration. The only statistically significant difference seen between treatment protocols was found with combined protocols of low-torque stretching for prolonged durations. This combination of low-torque stretching for prolonged durations is exactly what was used in the Dynasplint systems. A study by John, et. al., examined efficacy of the Dynasplint modality for reduction of contracture causing Hallux Limitus (HL). In this study, 50 patients were enrolled after diagnosis of HL which occurred following a bunionectomy or cheilectomy. The duration of this randomized study was eight weeks, and experimental patients received low-torque, prolonged stretching in the metatarsal joint Dynasplint (MTD) for 60 minutes, three times per day. 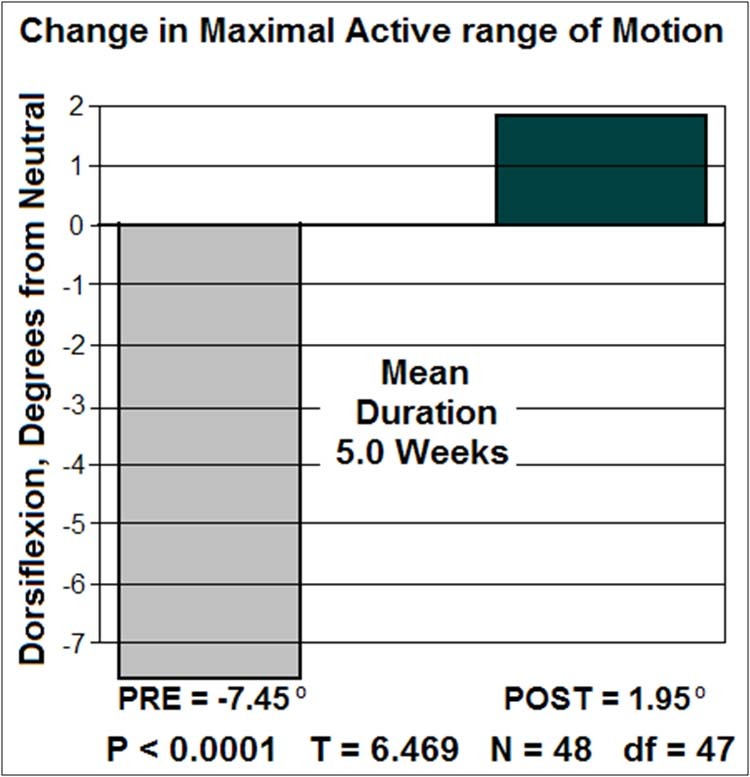 The dependent variable in Dr. John’s study was change in Active Range of Motion (AROM) and there was a significant change for the experimental patients following use of this home therapy modality (P < 0.001, T = 4.224). Experimental patients in this study regained a mean 32° change in AROM, extension compared to only a mean 10° change in AROM for control patients. Dr John’s randomized, controlled trial showed conclusive efficacy of the MTD modality.14 A retrospective study (N = 61) by Kalish and Willis showed comparable results in patients’ regaining 73% dorsiflexion at the metatarsal joint after 4 weeks. The purpose of this pilot study was to report the benefits that Dynamic Splinting (DS) had on reducing contracture in hallux varus and hallux valgus. Figure 1A and 1B Hallux valgus (A) and hallux varus (B) Dynasplint. Each patient was instructed to wear the DS initially for 10 minutes, three times a day (tid) while seated, with an initial tension setting of #1 (0.10 foot pound of torque). Patients were instructed to sequentially increase the wearing time until they were comfortable wearing the unit for 60 minutes, tid. This lowest intensity was used for becoming accustomed to the system, and the patients were instructed to increase tension on increment every two weeks after they were comfortable wearing the unit for 60 minutes, tid. The outcome measurements in this study included changes in maximal AROM for all patients and changes in hallux alignment measured in resting, weight bearing position. The patients treated for HAV regained a mean 10° AROM (one month) and the patients treated for hallux varus regained a mean 9° AROM in 3 months. Measurement of hallux alignment was taken while resting (weight bearing). This variable yielded comparable gains of Hallux abduction 10° (HAV) and 9° for adduction (hallux varus). The use of dynamic splinting in this pilot study caused no adverse events, and a future randomized, controlled trial would determine if this new modality is effective in separate populations of patients with hallux abducto valgus and hallux varus. 1. Shima H, Okuda R, Yasuda T, Jotoku T, Kitano N, Kinoshita M: Radiographic measurements in patients with hallux valgus before and after proximal crescentic osteotomy. J Bone Joint Surg 91A (6): 1369 – 1376, 2009. 2. Selner AJ, Selner MD, Cyr RP, Noiwangmuang W: Revisional Am Podiatr Med Assoc 4(4): 341 – 346, 2004. 3. Miller JW: Acquired hallux varus: a preventable and correctable disorder. J Bone Joint Surg 57A (2):183 – 188, 1975. 4. Lui TH: Technique tip: minimally invasive approach of tendon transfer for correction of hallux varus. Foot Ankle Int 30(10): 1018 – 1021, 2009. 5. Miller RJ, Rattan N, Sorto L: The geriatric bunion: correction of metatarsus primus varus and hallux valgus with the Swanson total joint implant. J Foot Surg 22 (3):263 – 270, 1983. 6. Vanore JV, Christensen JC, Kravitz SR, Schuberth JM, Thomas JL, Weil LS, Zlotoff HJ, Mendicino RW, Couture SD; [Clinical Practice Guideline First Metatarsophalangeal Joint Disorders Panel of the American College of Foot and Ankle Surgeons]: Diagnosis and treatment of first metatarsophalangeal joint disorders. Section 3: Hallux varus. J Foot Ankle Surg 42 (3): 137 – 142, 2003. 7. Orzechowski W, Dragan S, Romaszkiewicz P, Krawczyk A, Kulej M, Morasiewicz L: Evaluation of follow-up results of McBride operative treatment for hallux valgus deformity. Ortop Traumatol Rehabil 10(3): 261 – 273, 2008. 8. Jahss MH: Disorders of the hallux and first ray. Disorders of the Foot and Ankle: Medical and Surgical Management. 2nd ed. Philadelphia, Pa: WB Saunders Co, 1084 – 1089, 1991. 9. Trnka HJ, Hofstaetter SG, Easley ME: Intermediate-term results of the Ludloff osteotomy in one hundred and eleven feet. Surgical technique. J Bone Joint Surg 91A (Suppl 2 Pt 1): 156 – 168, 2009. 10. Oloff LM, Bocko AP: Application of distal metaphyseal osteotomy for treatment of high intermetatarsal angle bunion deformities. J Foot Ankle Surg 37(6): 481 – 489, 1998. 11. Bilotti MA, Caprioli R, Testa J, Cournoyer R Jr, Esposito FJ: Reverse Austin osteotomy for correction of hallux varus. J Foot Surg 26 (1): 51 – 55, 1987. 12. John MM, Willis FB, Portillo A: Dynamic splinting for runner’s toe: a case report with gait analysis. J Am Podiatric Med Assoc 99(4): 367 – 370, 2009. 13. 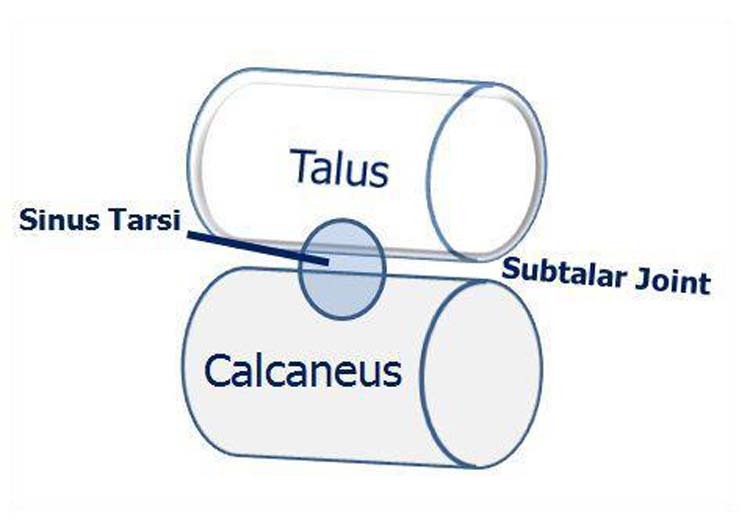 Kalish SA, Willis FB: Hallux limitus and dynamic splinting: a retrospective series. The Foot & Ankle Online Journal 2 (4): 1, 2009. 15. Usuba M, Akai M, Shirasaki Y, Miyakawa S: Experimental joint contracture correction with low torque -long duration repeated stretching. Clin Orthop Relat Res 456: 70 – 88, 2007. 16. Willis FB: Post-TBI Gait rehabilitation. Applied Neurol 3(7): 25 – 26, 2007. 17. Lai J, Jones M, Willis B: Effect of dynamic splinting on excessive plantar flexion tone/contracture: A controlled, cross-over study. Proceedings of the 16th European Congress of Physical and Rehabilitation Medicine. Minerva Medica pubs, Italy, 106 – 109, August, 2008. 18. Schuh R, Hofstaetter SG, Adams SB Jr, Pichler F, Kristen KH, Trnka HJ: Rehabilitation after hallux valgus surgery: importance of physical therapy to restore weight bearing of the first ray during the stance phase. Phys Ther 89(9): 934 – 945, 2009. Address correspondence to: University of Phoenix: Axia College, Adjunct Professor Health Sciences and Dynasplint Systems, Clinical Research Director. 1 Ankle & Foot Centers 2790 Sandy Point Rd. #300 Marietta GA, 30066. (770) 977-3668.